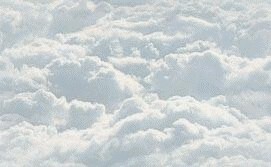 FAM-6: FAM-6 was awarded to Pan American Airways. 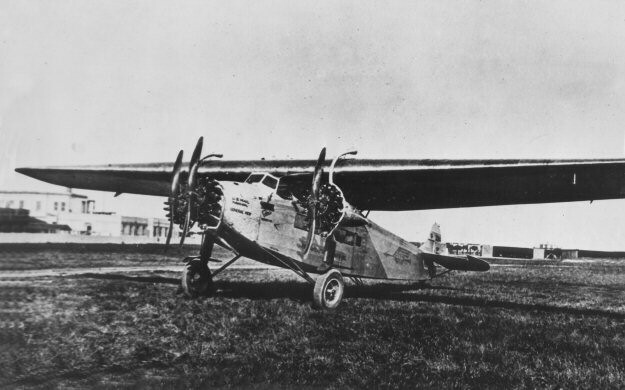 Pan Am inaugurated FAM-6 on January 9, 1929 using land aircraft including the Fokker F-10, Ford Trimotor and the Fokker F-7 between Miami FL, Cuba, Dominican Republic, Haiti and Puerto Rico. Various Pan Am pilots including Edwin C Musick, CD Swinson, Basil L Rowe and RH Fatt piloted these inter-island Caribbean flights. FAM-6 would eventually extend onward via the Caribbean Islands to northern South America and down the eastern coast of South America to Brazil and Argentina. FAM-6 when combined with FAM-5 would come to be known as the "Lindbergh Circle" with flights circumnavigating the Caribbean Sea. From the left, Glenn Curtiss, Betty Trippe, Anne Lindbergh, Charles Lindbergh, Captain Edwin Musick, and Juan Trippe. 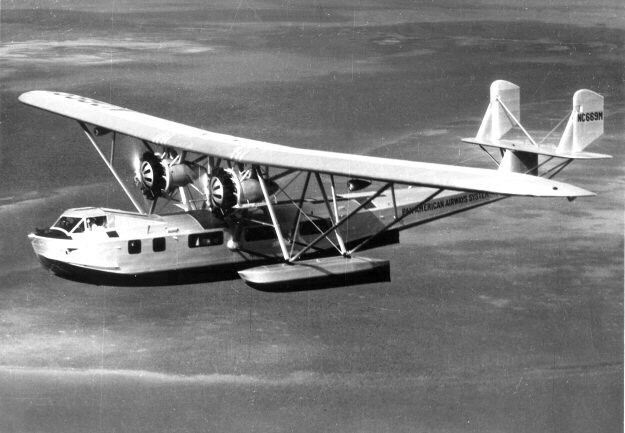 Lindbergh had completed his FAM-5 round trip survey flight between Miami and Cristobal Canal Zone on February 13, 1929 flying Pan Am's Sikorsky S-38A amphibian. 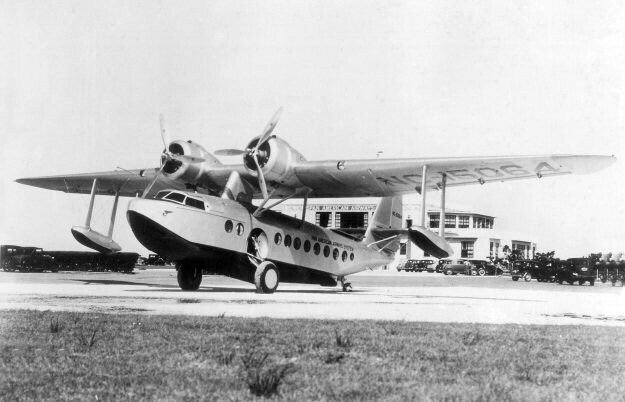 Now on September 20, 1929 Lindbergh would pilot a Pan Am Fokker F10A from Miami to San Juan Puerto Rico and switch to a Pan Am Sikorsky S-38A continuing his FAM-6 flight via the Caribbean Islands to Paramaribo Dutch Guiana (northeast coast of South America). 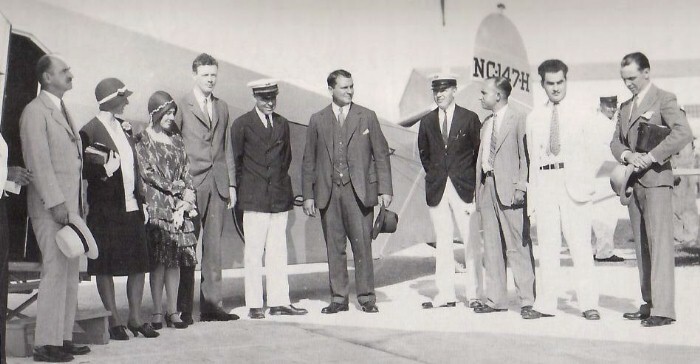 Lindbergh was accompanied on this flight by his wife, Anne and the CEO of Pan Am, Juan Trippe and his wife, Betty. 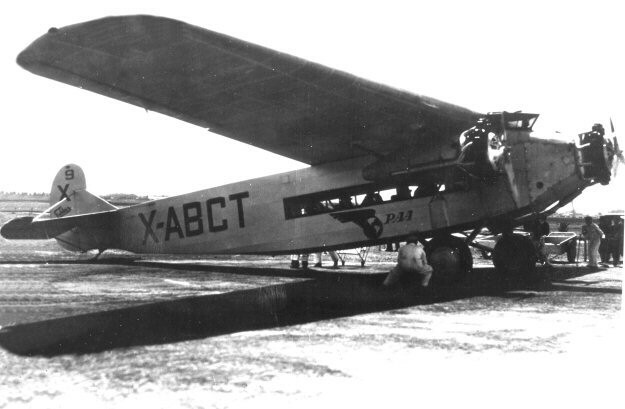 On Lindbergh's return northern flight from Paramaribo, he diverted from FAM-6 at Port of Spain Trinidad and flew west across the northern coast of South America to Cristobal Canal Zone and followed the FAM-5 route through Central America back to Miami FL. Lindbergh had now circumnavigated the Caribbean Sea combining FAM-6 with FAM-5 and this became known as the "Lindbergh Circle." Pan Am pilot, John H Tilton completed the FAM-6 return northern flight from Port of Spain Trinidad to Miami FL in another Pan Am Sikorsky S-38A aircraft.